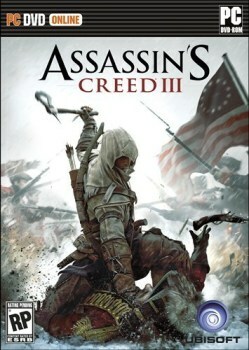 Despite previous denials, Ubisoft has now pushed the PC version of Assassin's Creed 3 back by nearly a month. As recently as two days ago, Assassin's Creed 3 was slated to launch on all three major platforms - Xbox 360, PlayStation 3 and PC - simultaneously, on October 30. Back in July, Ubisoft actually countered a rumor that the PC version would be held back, telling Polygon that the reports were incorrect and that it would be out on October 30. And yet in spite of all that, are any of us really surprised to find out that the PC edition won't actually hit the shelves until three weeks after the console release? The correct answer, of course, is "no." This is Ubisoft we're talking about, and delaying PC releases for a month is what it does. So it is that the company today announced that while the 360 and PS3 versions of Assassin's Creed 3 will come out on schedule, the PC version won't launch until November 20 in North America and November 23 in the U.K.